“Our Future” is a political image intended to raise awareness around the environmental impacts of oil shipping along the coast of British Columbia. 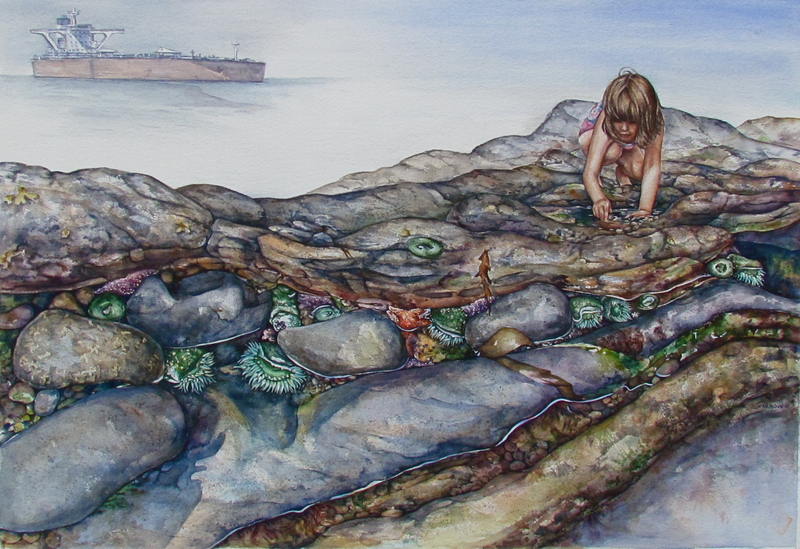 This watercolour image is a cautionary narrative reminding us that our children’s future and the state of the natural world are fragile and at risk. 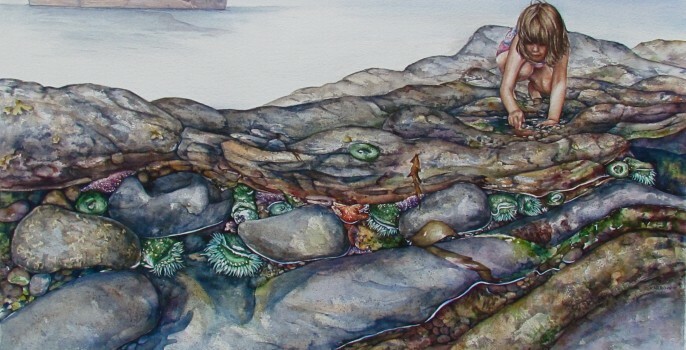 This painting was part of the Art for an Oil Free Coast fundraiser and travelling show.